James M. Vise, 92, of Benton passed away Thursday afternoon, November 15, 2018 in Benton. 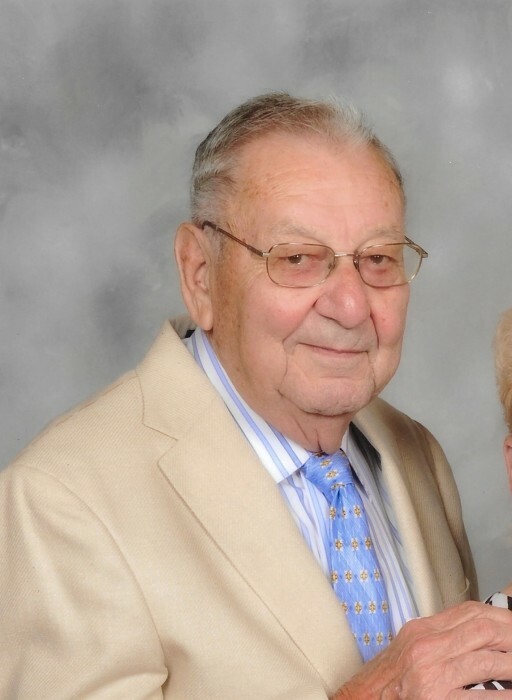 He was born in Macedonia, IL on June 17, 1926, the son of Evan H. & Goldie (Moore) Vise. He married Clara Lu (Keener) on July 24, 1955 at the First Christian Church in Benton. Mr. Vise served in the U.S. Army during the Korean War. He was a member of the First Christian Church in Benton. Mr. Vise was preceded in death by his Parents & by 2 Brothers-Harvey & Hosea Vise. Funeral services will be held at 1:00 P.M. Monday, November 19, 2018 at the First Christian Church in Benton with Pastor Kurt Sanders officiating. Burial with Military Rites conducted by the Benton American Legion & VFW Posts & National Guard Honor Squad will be in the Masonic & Oddfellows Cemetery in Benton. Visitation will be after 11:00 A.M. on Monday at the Church. In lieu of flowers, Memorials may be made to the First Christian Church-Fellowship Center. The Morton & Johnston Fuenral Home in Benton is in charge of arrangements.